Brierley continues their annual tradition of giving back to the community and celebrating employee diversity this Thanksgiving season. The Offices One at Frisco Station nearly fully occupied with corporate relocation. GameStop won big and took home honors that included Top 10 Best Program, Top Best Marketing Team and placed Gold in the Employee Engagement Category. 7‑Eleven, Inc. is having a BIG birthday this year – one of those that ends in zero. The company that introduced convenience retailing to the world is 90 on 7‑Eleven® Day, also known as July 11.To celebrate its milestone birthday, 7‑Eleven is inviting millions to join them for a FREE Slurpee party, continuing the tradition that started on the retailer’s 75th birthday in 2002. The Hertz Gold Plus Rewards program earns top recognition in the Drive category for sixth consecutive year in the FlyerTalk Awards. Joe DePinto’s job is more than making sure customers can fill up on gas and Big Gulps. As president and CEO of the world’s largest convenience store chain, he keeps a constant pulse on the needs of the 55 million customers that 7-Eleven serves daily. Customer engagement is the key to managing successful relationships. CataBoom's Gamification Technology Combined with Brierley+Partners' Loyalty and CRM Expertise Will Maximize Customer Engagement and Drive Profitability Globally. 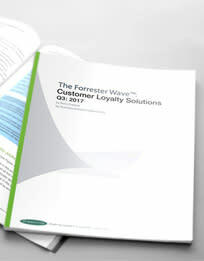 Brierley receives highest score for Current Offering, and received the highest score possible in service delivery capabilities, loyalty strategy design, loyalty marketing, and analytics and measurement. Members Can Save Rewards Points or Receive Certificates, New Dashboard Feature Makes It Easier for Members to Access Their Rewards. Few other customer engagement initiatives can claim as much success, and this year the brand projects 7-Eleven Day to be even bigger. Independent research firm selects Brierley for the second time. Brierley+Partners is proud to announce that the company’s Executive Chairman, Founder and Chief Loyalty Architect Harold “Hal” M. Brierley has been awarded the prestigious 2013 Edward N. Mayer, Jr. Education Leadership Award from Marketing EDGE on Sunday, October 13, 2013.